On Tuesday 30 October 2018 members of Croydon Rotary Club hosted a World’s Greatest Meal event to raise awareness and funds for Rotary’s End Polio Now campaign. 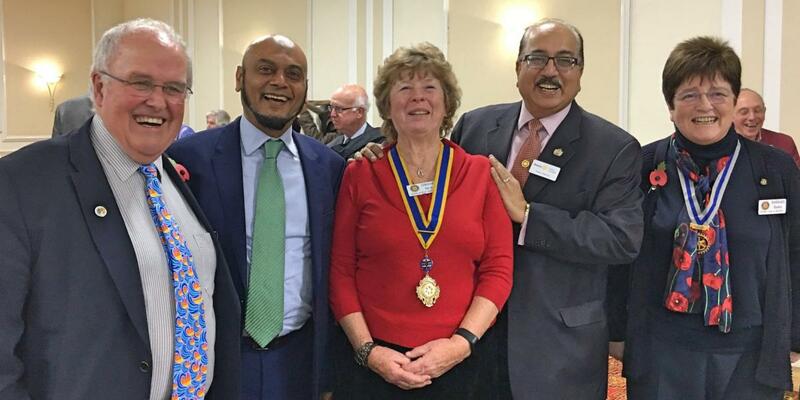 As well as club members, their partners, family and friends, we were joined by the Deputy Mayor of Croydon, Councillor Humayun Kabir, members of the Croydon Soroptimist Club, members from Inner Wheel Croydon, and fellow Rotarians from local clubs. A total of 72 generous attendees. Part of the generation that could see the end of polio once and forever. 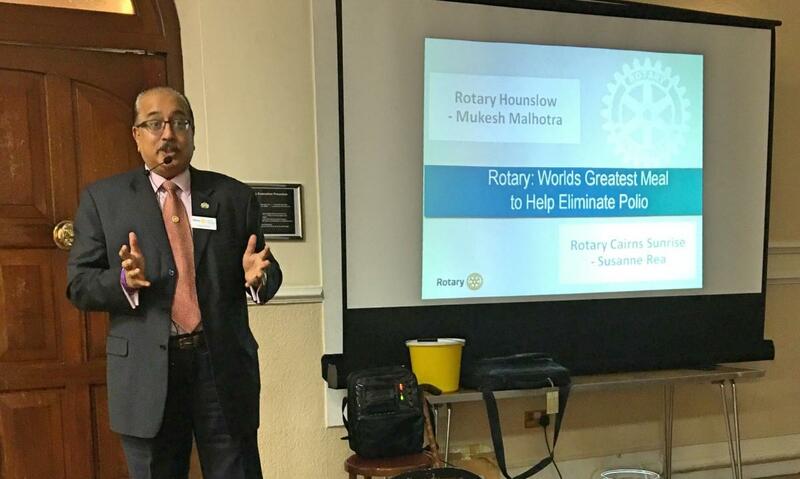 Our guest speaker was Mukesh Mulhotra, member of Rotary Club Hounslow. Mukesh is co-founder of the World’s Greatest Meal (WGM) along with his long-time friend, Susanne Rea. He spoke about his time in Rotary and how the idea of the WGM came about and how successful it has been and has grown into a worldwide fundraiser. At the event we raised £650 ($830). That's about £1,950 ($2,500) when supplemented by the Bill & Melinda Gates Foundation ­or, more importantly, that's over 4,200 children saved!! Poliomyelitis (polio) is a paralyzing and potentially fatal disease that still threatens children in some parts of the world. It can strike at any age but mainly affects children under five. Polio is incurable, but completely vaccine preventable. The Global Polio Eradication Initiative, formed in 1988, is a public private partnership that includes Rotary, the WHO, the US Centers for Disease Control and Prevention, UNICEF, the Bill & Melinda Gates Foundation, and governments of the world. Rotary’s focus is advocacy, fundraising, volunteer recruitment and awareness building. Today, there are only three countries that have never stopped transmission of the wild poliovirus: Afghanistan, Nigeria and Pakistan. 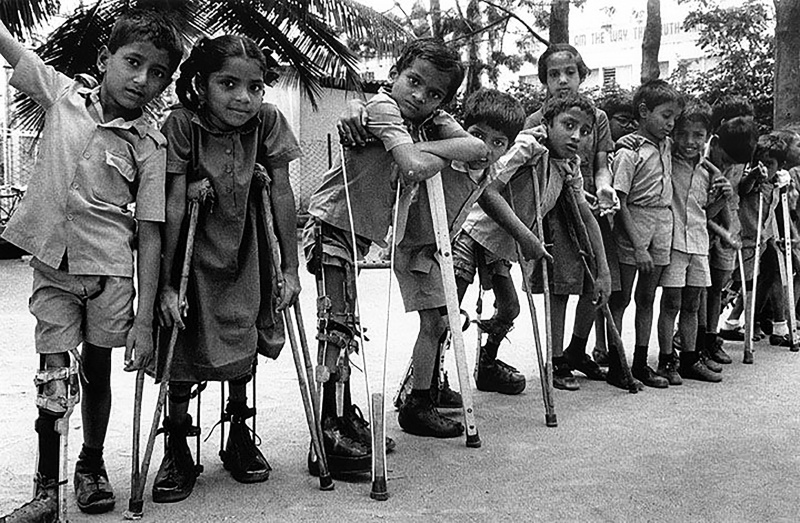 Just 37 polio cases were confirmed worldwide in 2016, which is a reduction of more than 99.9 percent since the 1980s, when the world saw about 1,000 cases per day. Rotary will raise $50 million per year over the next three years, with every dollar to be matched with two additional dollars from the Bill & Melinda Gates Foundation. These funds help to provide much needed operational support, medical personnel, laboratory equipment, and educational materials for health workers and parents. Governments, corporations and private individuals all play a crucial role in funding. 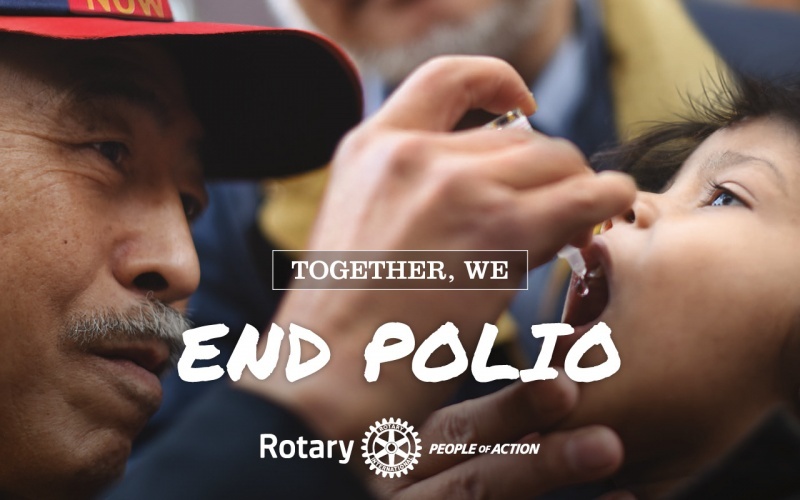 More than one million Rotary members have donated their time and personal resources to end polio. Every year, hundreds of Rotary members work side-by-side with health workers to vaccinate children in polio affected countries. Rotary Members work with UNICEF and other partners to prepare and distribute mass communication tools to reach people in areas isolated by conflict, geography, or poverty. Rotary members also recruit fellow volunteers, assist with transporting the vaccine, and provide other logistical support. Rotary has a growing roster of public figures and celebrities participating in its ‘This Close’ public awareness campaign, including Bill Gates, co-chair of the Bill & Melinda Gates Foundation; actors Kristen Bell and Archie Panjabi; WWE superstar John Cena; supermodel Isabeli Fontana; Nobel Peace Prize Laureate Archbishop Emeritus Desmond Tutu; action movie star Jackie Chan; boxing great Manny Pacquiao; pop star Psy; golf legend Jack Nicklaus; conservationist Jane Goodall; premier violinist Itzhak Perlman; Grammy Award winners A.R. Rahman; Angelique Kidjo and Ziggy Marley; and peace advocate Queen Noor of Jordan. These ambassadors help educate the public about polio through public service announcements, social media and public appearances. please contact Stephen Kirkman, see below.